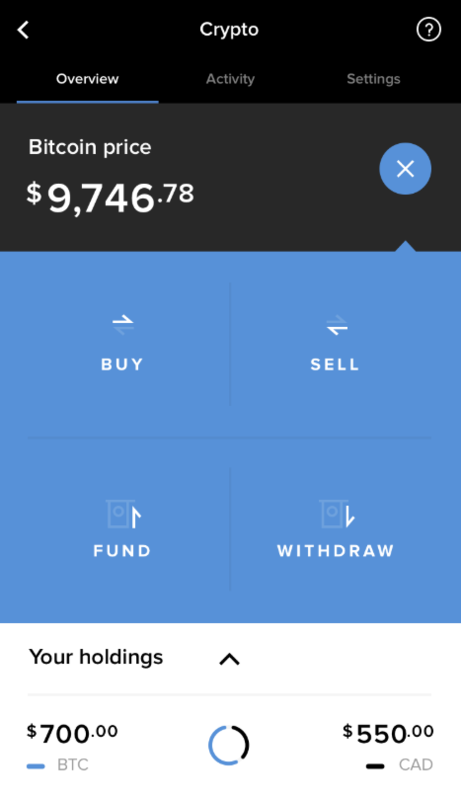 In your MogoCrypto dashboard, under the Overview tab, click “Fund”. 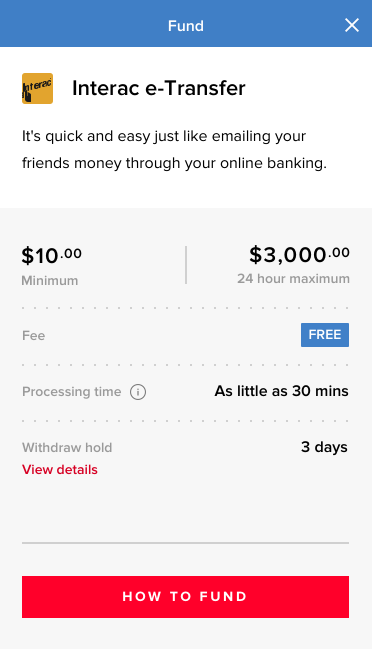 After you click “Fund”, a box will appear with details, including funding limits, applicable fees and the withdraw hold period. Click “How to Fund” to continue. Take note of the details in the next screen because you will need to enter them when submitting an Interac e-Transfer through your online banking. Pay particular attention to the Security question and Security answer as these must be accurate in order for us to successfully accept your payment. Hint: You can tap on the icon next to the information to copy it for easy pasting into your online banking’s e-Transfer form. Once you’ve sent in your payment, please allow at least 30 minutes for the funds to appear in your MogoCrypto dashboard, at which point you can start buying and selling crypto right away! You can view the current estimated processing time here.